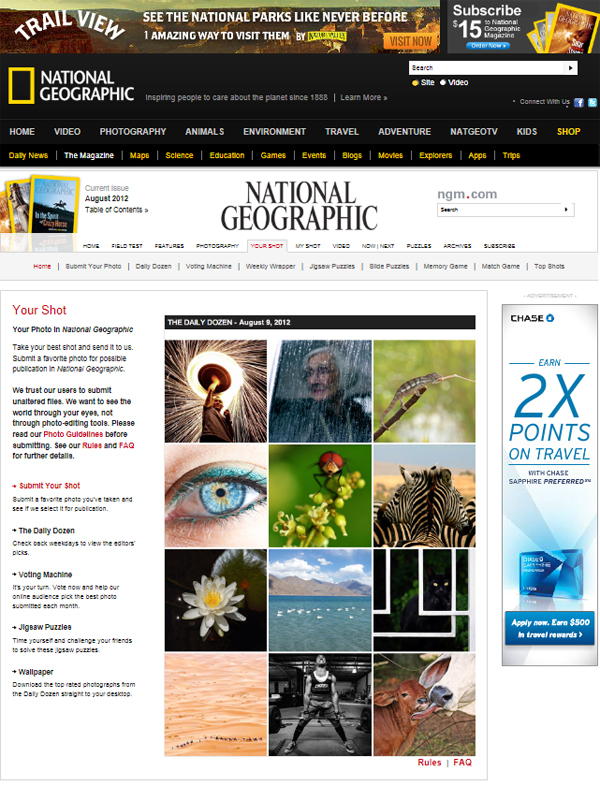 I continue to enjoy the variety and unique perspectives that National Geographic selects from world-wide submissions as Daily Dozen winners. Your Shot is a great site to check out if you enjoy diverse imagery. 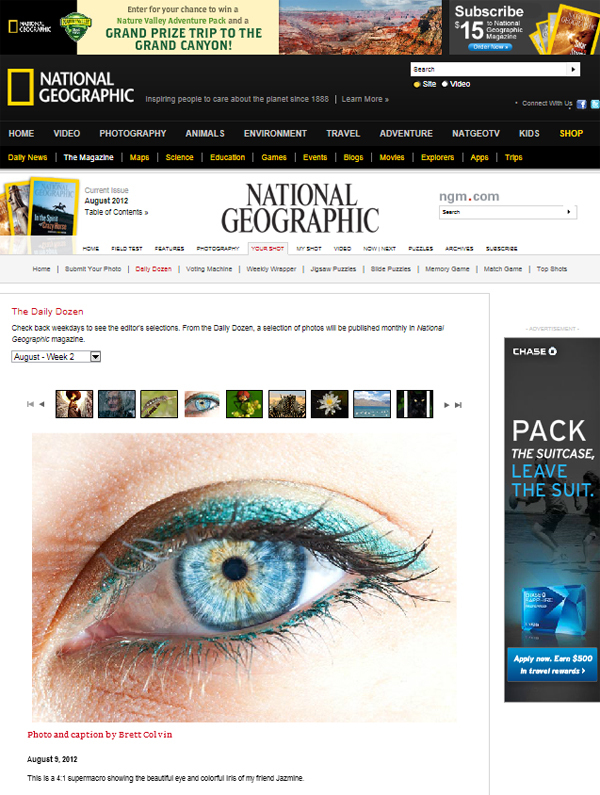 It's an honor to have an image appear in today's selections. 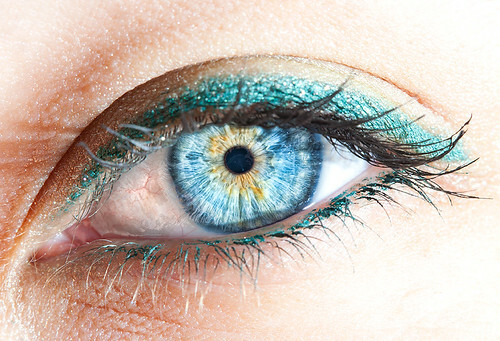 This is a 4:1 supermacro of my friend's amazing eye. I was drawn to the color and patterns in her iris during a portrait shoot, and appreciated her willingness to let me setup a tedious shot with off-camera lighting.